Frank Lampard will take his side to Old Trafford. Derby County will travel to Manchester United in the third round of the Carabao Cup. 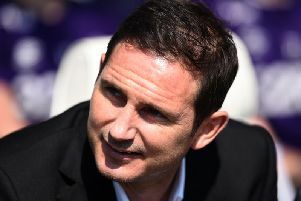 Rams boss Frank Lampard will go head-to-head with his former manager at Chelsea, Jose Mourinho, on the week commencing September 24. The duo won three Premier League titles together in their time at Stamford Bridge. The Rams beat Hull City 4-0 on Tuesday night to secure their passage through.